Looking for the best Chevy service center in Albany, NY? DePaula Chevrolet is the place to go. Why? Well, for starters DePaula provides certified Chevy service. Which means our technicians know Chevy vehicles inside and out, so you can get your car the best service possible. Even though we are staffed with certified Chevy technicians, it’s up to you to know when it’s time to get your car serviced. While we will provide you with a maintenance schedule to follow, it’s important to know why those service intervals happen when they do. Even more important is paying attention to any issues that might arise. After all, we can’t be on the road with you 24/7 — so it’s up to you to be aware of your car’s condition. While you are in for service or repairs, you can take advantage of the many perks DePaula provides its waiting customers. Because here, service is done the right way in order to deliver total customer satisfaction. There are many benefits when it comes to certified Chevy service compared to taking your car to a corner garage. For starters, if you have a new car, the corner garage might not even have the right tools or knowledge to get the job done. Contemporary cars are more computer-based than they are mechanical, which requires an extensive amount of training to learn how to work on them properly. Training that can only be provided by the experts at Chevy, which is then shared with the technicians. That means these technicians know the ins and outs of new “computerized” Chevy models just as well as the used models. Since the mechanical processes of older engines and other critical components haven’t changed, the certified Chevy techs we have are well-versed in both new and used cars. On new models especially, there are specific tools that are needed in order to effectively repair a Chevy vehicle. Gone are the days of having a good set of sockets and ratchets to take apart everything and anything, which means your corner garage isn’t going to have the tools to (successfully) work on your vehicle. Because of this extensive knowledge of vehicles, our certified Chevy technicians are also trustworthy. After all, they did learn directly from the automaker, which means they have a higher level of integrity and brand loyalty compared to a small hole-in-the-wall garage. I’m not saying all corner garages steal or rip-off their customers. But, why take the chance when a trustworthy and certified tech (who is also held more accountable by both the dealership and manufacturer) can work on your vehicle for you? When and Why Do I Get My Car Serviced? Speaking of getting your vehicle worked on, it’s important to understand when and why you need to get your car serviced. We’ll provide you with a recommended maintenance schedule depending on a few factors, such as: make, model, year, total mileage, mileage traveled per month, and the overall amount of wear and tear that your vehicle has experienced. Why is it important to schedule and complete service consistently? Because the more wear and tear a car experiences, the more likely that crucial parts will stop working — especially if the vehicle is not properly maintained. Therefore, it’s important to inspect it and do any work that needs to be done. That way, future problems can be prevented. During these service intervals, technicians will do things like check and change the oil and filter, rotate tires and check inflation pressure, check and fill transmission fluids, and lubricate the chassis. That’s just the start, and the more miles a car gets the more work needs to be done. Eventually, your car will have its front end alignment checked, throttle body assembly lubricated and cleaned, air filter assembly inspected, brakes inspected, and suspension/steering linkage/transaxle shift linkage lubricated. 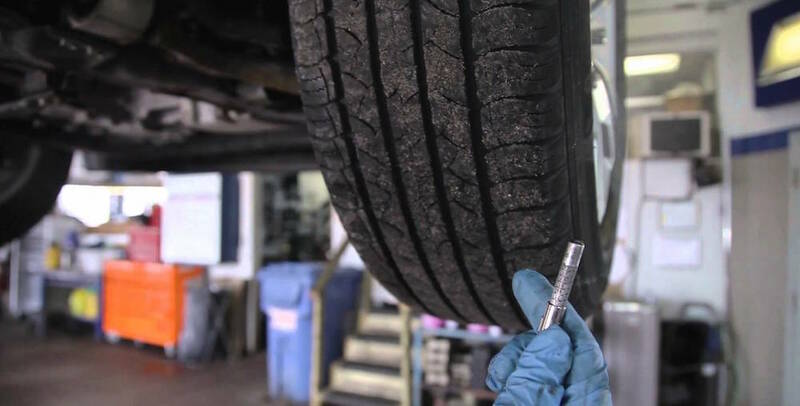 While it might vary slightly depending on different factors pertaining to the vehicle, these are generally checked and serviced during one or more of your inspections. That’s because all of these need to be maintained for the car to run properly, and all of them eventually “wear out” over time. For example, engine oil will eventually lose its ability to properly protect the engine because of a loss in durability. Alternatively, the filter could be too clogged in order to properly filter out any of the dirt or dust that inevitably gets in the oil. This could eventually cause serious damage to the engine if it isn’t changed consistently. But, if you pay attention to the service schedules that dealerships like DePaula provide for you — which are set up individually, depending on your vehicle — then you should be fine. One thing is consistent though, whether you have a new vehicle, certified pre-owned vehicle, or used vehicle, you need to have it regularly serviced. How Can I Tell When Other Issues Arise? Other than regular service intervals, you also need to pay attention when driving for any other issues that could arise. There are multiple ways to do this, and they all involve your senses. If you see, feel, or hear anything weird, then chances are something is off. Grinding could either indicate worn brake pads, a stuck caliper, or a faulty engine or transmission. If it involves the wheels, chances are you’ll feel and hear it when you step on the brake pedal, or when the car is in motion. If it’s consistent all the time and it’s coming from under the hood, there could be something seriously wrong with your transmission or engine. Burning smells could again indicate a stuck caliper or transmission trouble, or maybe even engine oil burning on the manifold (which could indicate an oil leak, since it could be dripping and burning on the engine or exhaust manifold). While the list can go on and on, the point is if you see, hear, feel, or smell anything weird, then it’s important to get your car into a shop right away. The best way to prevent larger issues like this from happening is by ensuring that your vehicle gets in for regular maintenance. But, it’s important if you do get your vehicle serviced, to get it done right. Which is why DePaula has those certified Chevy technicians staffing our garage, so we can guarantee that you get the best service possible. While they might specialize in Chevy vehicles, they are still knowledgeable to service any other makes and models. While you’re in for service, make sure to take advantage of everything we have to offer. Starting with our shuttle service, and our loaner car service if your vehicle will be with us for more than 24 hours. We also have free Wi-Fi in our waiting areas, and work stations for those who have the ability to work from the office remotely. Alternatively, you can utilize the weekend service hours we have available, that way you don’t have to worry about missing work at all. A children play area is also available if you bring the kids. After your service is complete, we’ll even give you a free car wash. Because at DePaula, we do car service right.